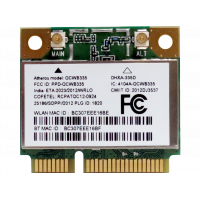 GW17032 Radio, Mini-PCIe 3x3 802.11ac/abgn Compex WLE900VXUses ath10k Linux driver. Download D.. 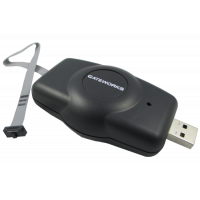 The GW11033 USB JTAG programmer kit consists of the GW16099 JTAG programmer, 6ft USB extension cable.. 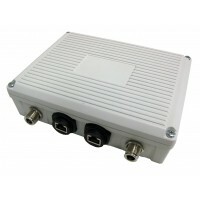 The GW3057-1 is an extruded aluminum enclosure for rugged installations of the Gateworks GW5100 Vent.. 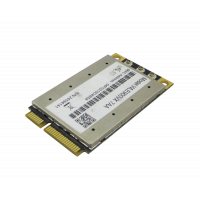 The GW3021-1 enclosure is IP67 rated enclosure for outdoor installations of Gateworks 4x4 and 4x6 Av..
GW16090 802.3at Emulation Adapter Download Datasheet..
802.11 b/g/n 1x1 WiFi and Bluetooth 4.0 combo PCIe half-mini card, WB222/AR95652.4GHzUnex DHXA-335DN..
Triband 802.11ab/g Indoor Omni Antenna, RPSMA Male. 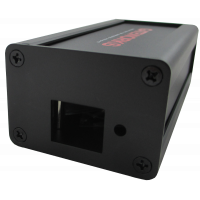 (Gain) 2.4GHz 1.56 dBi 5.15GHz 3.63 d..
24 VDC 1amp Output.Has 2.5mm plug for barrel jack input on Gateworks SBCs. 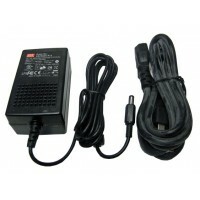 Universal 100-240VAC 50/6..